Lotte New York Palace, a landmark hotel in the heart of Midtown Manhattan, is known for its outstanding service, historic architecture, and spacious accommodations. Just steps from corporate offices and tourist attractions, The Palace places you in the heart of the action of NYC. 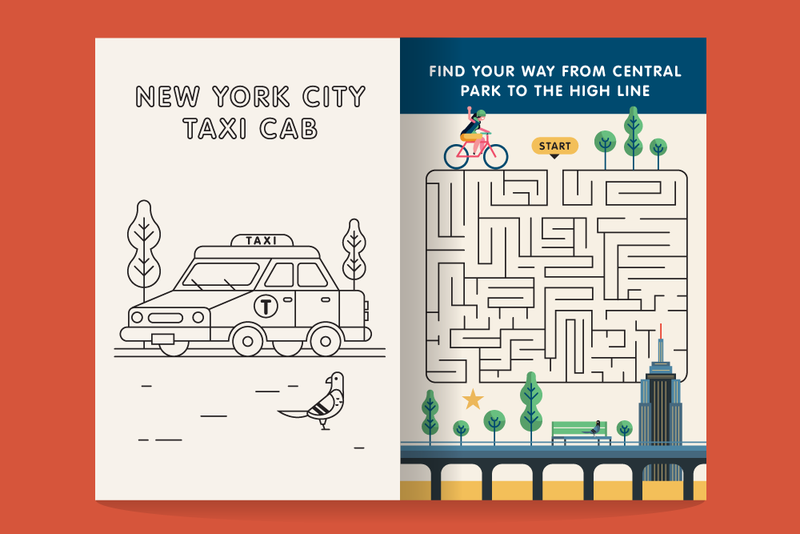 Wanting to create a special gift for its youngest guests, The Palace team tapped the illustration experts at Beutler Ink to design a custom activity book featuring the famous hotel and other NYC landmarks. We were excited to tackle the challenge and knew we had to find the right balance between childlike whimsy and luxe polish that is synonymous with The Palace. The end result is a book that we hope would make it back beyond the hotel room and into the playroom as well. This is a great little companion that can be taken anywhere to keep children engaged with puzzles and coloring pages that highlight the beautiful city of New York.